The time has come to re-brand ‘social housing’. In some people’s eyes, social housing is seen as a way of housing problem families or people with social issues. Although there will always be a few problem families, most people in social housing are people who have been housed after being on the local council’s waiting list. These are people who have lived locally and cannot afford to buy. Also, working families cannot afford the high rents in the private sector. I believe social housing in the future should be called ‘community housing’. Working together with housing associations, we need a programmes of mixed housing projects to meet local need. It makes no sense that private landlords are receiving £3 billion a year in housing benefits. We need more sheltered schemes, with warden care: there are so many people under occupying in three-bedroom houses. There has to be mixed developments, which include one-bedroom and two-bedroom lets; this is where the greatest housing need is. Rother’s housing department is under great pressure from people on the housing waiting lists. Placing people in private lets does not work. After a few months, they can be evicted by the landlord, and then become homeless applications with priority housing needs. It is so important to meet housing needs for young families in Rother. They need to be close to their elderly parents so they can support them in later life. Private housing developments with 30 per cent social housing will not be able to meet housing needs in Rother. Housing completions are slow, which means residents on Rother’s waiting list face long delays to be housed. 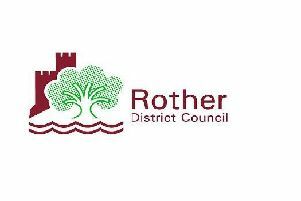 The future lies in increased funding from the government for local housing associations who can provide a planned policy to meet housing needs in Rother.